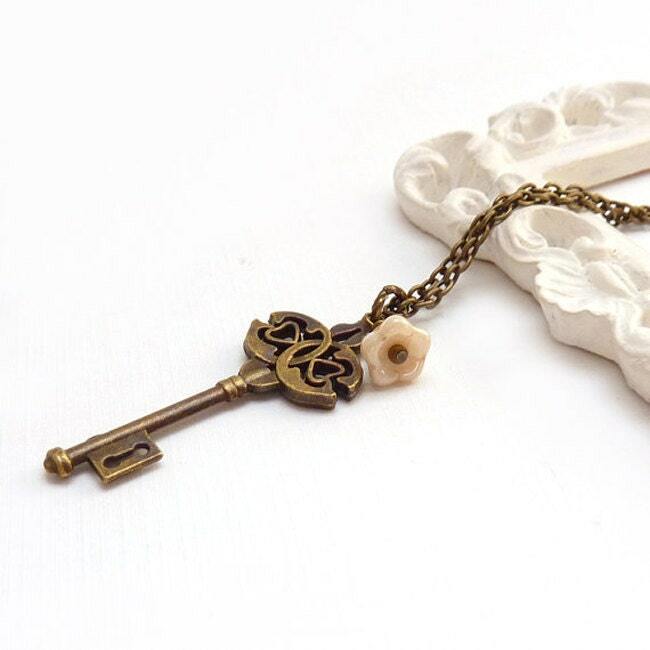 Romantic brass skeleton key pendant hangs from an antiqued bronze chain. I added a tiny ivory glass flower at the top. It has a warm and wonderful vintage feel. The beauty of this charm necklace is its simplicity. Great to wear alone or stacked with other necklaces. * Ships at 28" (71 cm) chain or select another length from the drop down menu to the right.